Beautiful and durable, Kaindl One 8.0 laminate flooring lets you enjoy the rich look of exotic wood but is much faster and easier to install. The tough-wearing melamine wear layer is family friendly, resists staining, fading, and scratching and is very easy to maintain. This environmentally friendly product is PEFC and Greenguard certified. This Product Contains 20.06 Sq.Ft. 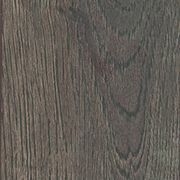 12mm Thick x 5-inch W Graphite Laminate Flooring Surface registered emboss for a distinctive look that will enhance your decor on every level of your home: on, above, or below grade. The perfect balance between beauty and durability, this 12 mm laminate flooring is the worlds simplest to install and easy-to-maintain , more convenient installation. This flooring solution Installs over concrete sub-floors, perfect for condominiums. Durable AC3 rating ,makes this flooring a great investment. Micro-v groove on all four sides creates a more natural looking floor. E1 certified; means you can breathe easy installing this flooring solution as it will not emit any noxious gases.